I am supposed to be working on accounting today but when some ideas for a newsletter hit you just have to go with it and switch gears. This month’s newsletter is going to be a little different – I have been doing so many fun things lately and I am always asked about where I find out about these wonderful events so here you go! This month is International Month! This newsletter has tons of info on local organizations and events with an international flair. I am here listening to some of my new favorite people – Mohammad Assaf (Winner of Arabic Idol and from Palestine), Eliad from Israel, A-WA (Israeli group of Yemen decent) – I just found out they are going to be in ATL on March 26!, Taina Asili (from NY and was here last year. They are amazing), Carrie Nation and the Speak Easy from Wichita, KS and who knows what will come on next probably lots of Latin groups, some Bhangra for sure and maybe some Country Music. My music preference is as diverse as my food choices. You never know what you might get! I believe that through music, food, dance, and art, better dialog can take place among cultures. And let’s not forget games! My friend Red with English for Life is having an International Trivia Night at the end of this month. Check out the details on Facebook. One of the things I love most about coming home from my travels is the rich diversity that we have especially here in Greenville. I can hear several languages spoken at the grocery store, walking downtown, shopping or at an event. To me these are things that should be seen as a benefit and is one of the things I miss most when traveling. I love that I can go in any direction and have Mexican, Vietnamese, Colombian, Indian, Thai, Chinese, Italian, Greek Arab, and many more delicious goodies or just an American Style burger and fries. Want to learn some fun new cooking skills, meet some fabulous ladies (men are also welcome at the cooking classes) and have a delicious lunch? Come to the Turkish Cooking Demo Classes at The Istanbul Cultural Center off Woodruff Rd. I have gone to several events from this group and I absolutely love going to them. They are part of the larger Atlantic Institute, whose purpose is to encourage cultural diversity and understanding. We live in a fabulous country where we experience a vast melting pot of beliefs, colors, smells, food, religion and cultural beliefs, these things should be celebrated, enjoyed and encouraged. Here are some pictures from the presentation I gave at the Istanbul Cultural Center in February on my 6 week travel through China, Tibet and India! The International Center of the Upstate, now Upstate International, is a wonderful organization that has all sorts of gatherings, cultural exchanges, language classes and other informative sessions. Upstate International is a 501(c)(3) non-profit organization that exists to empower people and businesses of all nations to thrive in the Upstate by connecting them through programs, events, and initiatives that foster the dynamic exchange of international cultures and ideas. I have been a member for years and love all the programs they put on. This is the group to know for interesting, diverse events. They also have various language classes. This isn’t local per se, but I just found out that Harvard has launched a free online course to promote religious literacy. Over the course of six classes, they’re going to discuss the sacred texts of five major religions (Christianity, Buddhism, Islam, Hinduism and Judaism), why the texts are sacred, how they’re interpreted differently even within their own religion, and how they’re evolving. First class started March 1st! Sounds amazing! Want to learn Spanish or want to learn to Teach English as a Second Language (TESOL) then check out my friend Kim Carroll – better known as Red – at English for Life. 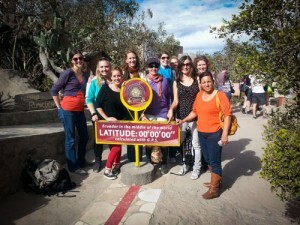 Better yet join her in Quito, Ecuador this summer to experience another culture first hand. Ecuador is a beautiful country and I had a fabulous time there in 2013. Join her for a Spanish immersion program that includes instruction and activities both in class and within the communities of Quito and the surrounding areas. You’ll stay with a local family, and study Spanish and Latin American culture with instructors at the Equinox Spanish School and an on-site coordinator from English for Life Academy. Classes are available for all levels of Spanish. Or if you want to get your TESOL Certification – she has that too. It’s where I got my certification. Enjoy experiential classes at Equinox Spanish School in the mornings, excursions to cultural and historical sites in the afternoons, and “out of town” excursions on the weekends. Check it out and see another part of the world! What a better way to learn about other cultures than through dance! Here is a list of all sorts of classes, check them out to see what all they have going on! Taal School of Dance & the Indian Arts – Bollywood, Bhangra and all sorts of fun. Here’s a fun Bhangra performance from 2014 with yours truly, Evelyn and Ana from Belly Dance, Kristi and another dancer from Taal Indian School of Dance! Friday Night Salsa at The Phoenix with Malik (no salsa on the 4th Friday of the month) Lesson at 7:30pm dance until 11pm! Salsa Night at The Zone – 4th Friday of the Month. Dancing from 8pm – 2 am. The SC Stop Human Trafficking Meetup – Yes, Human Trafficking happens here in Greenville. There! No more excuses, lol. Go and enjoy all the international diversity Greenville has to offer! And be sure to sign up for our blog post updates and like us on Facebook to keep up to date on fun events! We had a great turn out for February Bees and Butterflies in your Garden, Honey in your Skincare. Huge thanks to Susan from The Carolina Honey Bee and Polly from The Master Gardeners Program, they gave us tons of great info which we will be sharing in blog posts (so be sure to subscribe to our blog). Here is a little picture I found for you to enjoy and take into consideration. 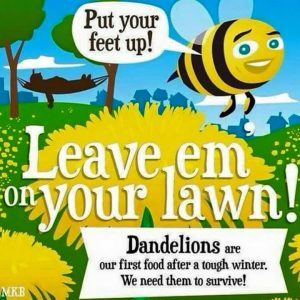 Dandelions do have a purpose! Clover is another great “weed” that provides one of the first food sources for pollinators. In addition to talking about Milkweed for Monarchs, Polly gave us a flyer with host and nectar plants for butterflies. I’ll be putting the flyer on the blog when I talk about the lunch and learn, but wanted to share some of the nectar plants from the list. Spring is coming, and with it, the much-anticipated GGMG Annual Plant Sale! Polly mentioned this at the Lunch and Learn so I wanted to include the event info here for everyone. Located again this year at the Jeff Lynch Appliance Store outdoor lot (Woodruff Road and Roper Mt. Road intersection), this event offers local gardeners an opportunity to purchase plants nurtured and donated by Master Gardeners. Shoppers will find a wide selection of plants, ranging from herbs, vegetables, and perennials to shrubs and young flowering trees. Among these will be some native plants and unusual specialty plants. Gates open at 8:00 AM on April 30, 2016, and savvy shoppers are usually waiting in line for this event. To make the waiting easier, this year Automatic Taco will have a food truck parked adjacent to the entrance to the plant sale. The event winds down around 1:00 PM, and late-comers usually discover that the early-birds got the best plants. 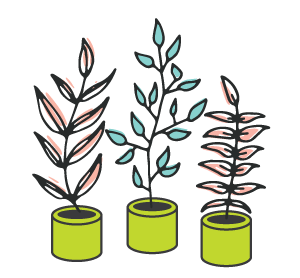 Proceeds from the GGMG Plant Sale fund an array of programs which support our mission to educate the citizens of Greenville County in gardening fundamentals. Among our programs are the annual Symposium, Ask-a-Master Gardener activities, GGMG Speakers Bureau, Jr. Master Gardener Summer Camp, the Ellen Hilderbrand Community Grant Program, and others. The sale will go on, rain or shine. Please mark your calendar for an event you won’t want to miss! 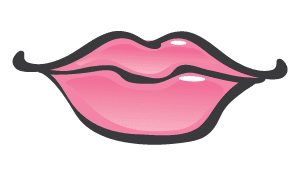 Our lips are another sensitive area often feeling dry or chapped. We can help relieve those symptoms with our wonderful lip treatment. We exfoliate the lip area, use an intense serum, and apply a collagen mask. Your lips will be soft and smooth by the end of this treatment. Mention you saw this in the newsletter and get a complimentary Luscious Lip Treatment with any facial in the month of March. But only if you say you saw it in the newsletter! Great Food, Wine and Friends! Spa Service Tickets are $40 and include a one 20 minute spa service, food, wine, silent auctions and more! 100% of event proceeds go towards low and no-cost spay and neuter services and aftercare for animals in the Upstate of South Carolina. 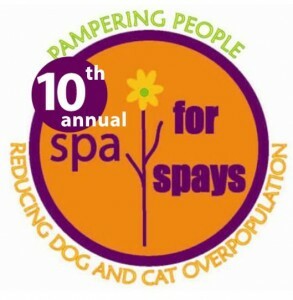 Get more details on Spa for Spay’s Facebook event page. I will be at the event doing a hydrating eco-fin treatment for your hands and feet! Best to wear shoes with socks! This is going to be a super fun event and for a great cause!